When a person is injured in an auto accident, it is in his or her best interest to pursue legal advice from a skilled personal injury attorney. In the case of rear end car accidents, auto accident attorneys can reconstruct accidents to determine who is at fault for damages. If you or a loved one has been injured in a rear end collision, we urge you to seek legal counsel as soon as possible. At the Law Offices of Edward Deason, our team of medical and reconstruction experts will compile the facts and evidence that is required to successfully litigate a rear end accident claim. Attorney Edward Deason and our team use accident reconstruction techniques to determine who is at fault for auto accidents. In reconstructing auto accidents, our team of traffic engineers and investigators re-create the actions that led to the crash. This may include an evaluation of the speed of both of the vehicles, any reckless or distracted behavior on the part of either driver, a computer animation of the auto accident, and a range of other assessments. In many cases, the driver who rear ends the other vehicle is the person who is at fault. This may be true in cases in which the driver of the rear vehicle is following too closely, fails to brake because he or she is distracted by a phone or music device, is driving recklessly (speeding or under the influence of alcohol or drugs), or did not properly maintain the vehicle’s braking system, among other scenarios. Contrary to what many assume, there are also cases in which the driver of the front vehicle (the vehicle that is rear ended) is at fault for the accident; this is the case when a driver pulls out of a parking space or driveway into the path of an oncoming vehicle. Obtaining favorable settlements and verdicts in rear end auto accident cases is dependent on the circumstances of the case, and how well the evidence is presented in court. At the Law Offices of Edward Deason, we have a track record of gathering, documenting, and presenting strong evidence on behalf of clients. We will work tirelessly to obtain fair compensation for any injuries and property damage that was incurred in the accident. Damages may be awarded for medical bills, lost wages, future lost wages, and any other expenses relating to the accident. 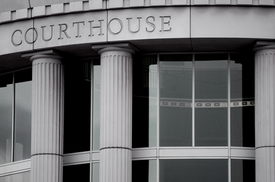 For an evaluation of your case, contact the Law Offices of Edward Deason in Los Angeles.